The more I have looked, the more paths and tracks seem to thread their ways through the prose, poetry and art of Europe, America and – in particular – Britain over the past two centuries. They are there in Dorothy Wordsworth’s journals, in Paul Nash’s war-scapes, with their zigzagging duckboard walkways, in Michael Powell and Emeric Pressburger’s 1942 film A Canterbury Tale, in which the ancient Pilgrim’s Way is blithely churned up by tank brigades on manoeuvre, and in Bill Brandt’s 1950 photograph of a narrow stretch of the same path, where the Way appears as a foot-worn crevasse into the underlying snow of the chalk – a gap down which one might slip not just to another time, but to another realm and climate. I have come to love Eric Ravilious’s dreamy watercolours of the prehistoric tracks of the English Downs, and I have read and reread the Scottish writer Nan Shepherd’s accounts of how she came to know the Cairngorm massif on foot, following its ridge lines and deer tracks for years until she found herself walking not ‘up’ but ‘into’ the mountains. These are the consequences of the old ways with which I feel easiest: walking as enabling sight and thought rather than encouraging retreat and escape; paths as offering not only means of traversing space, but also ways of feeling, being and knowing. 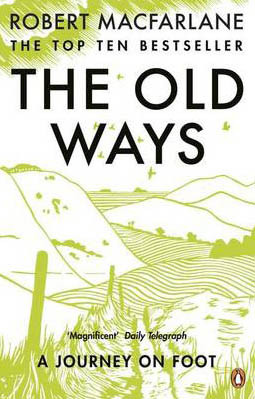 Above all, I have been affected by the life and work of Edward Thomas: essayist, soldier, singer, among the most significant of modern English poets – and the guiding spirit of this book. Thomas was born in London in 1878 to Welsh parents, and from a young age he was both a walker and a writer. After making his reputation with a series of travelogues, natural histories and biographies, he at last began writing poetry in the winter of 1914, at the age of thirty-six. In an astonishing late outpouring of art, he wrote 142 poems in just over two years: poems that changed the course of poetry and whose branchlines are being followed still. On Easter Monday 1917, aged thirty-nine, he was killed on the opening dawn of the Battle of Arras. I first read Thomas’s poetry at school, in an anthology that included his best-known poems, ‘Adlestrop’ and ‘As the Team’s Head-Brass’. He seemed to me then an engagingly simple author, verging on the naive: an elegist for a rural England of ploughmen, hayricks and meadowsweet that was vanishing even as he wrote. It would take me nearly twenty years to understand how drastically limited this account of Thomas was. 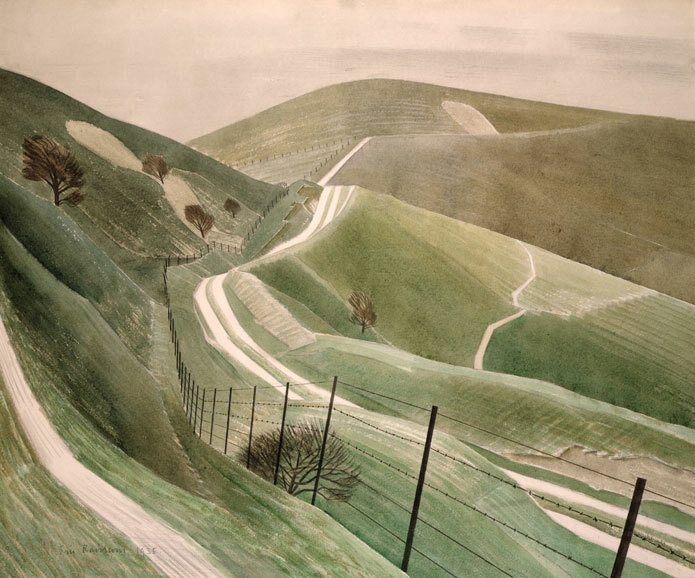 He is still often thought of as a pastoral poet, celebrating place and belonging, but I now see that his true subjects are disconnection, discrepancy and unsettledness. His poems are thronged with ghosts, dark doubles, and deep forests in which paths peter out; his landscapes are often brittle surfaces, prone to sudden collapse. While he was drawn to the romantic figure of the self-confident solitary walker, he was more interestingly alert to how we are scattered, as well as affirmed, by the places through which we move. Robert Macfarlane is the author of the award-winning Mountains of the Mind and The Wild Places and of Holloway, a collaboration with the artist Stanley Donwood and the writer Dan Richards. He is a Fellow of Emmanuel College, Cambridge.